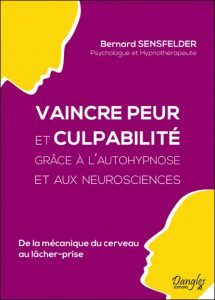 Bernard Sensfelder works as a clinical psychologist and einotherapist in Pont-Aven (29). His patients, of all ages, come from all over the Northwest of France. He conducts training sessions in hospitals, clinics and homes for elderly dependent persons in Bretagne and Vendée. After following Lacanian principles and publishing an article about mental anorexia (journal des psychologues n° 60, 1988), he got away from psychoanalysis in 1992 and quit practicing as a psychologist. He then explored various activities. In 2003, he was back as a psychologist, but this time from a research angle based on neuroscience. 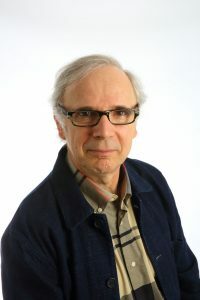 He was first praised for his work on Alzheimer disease (international Congress of SPGLF, 2006) in his article « De la gérontopsychologie à la thanatopsychologie » (journal des psychologues n°256, 2008), then about intellectual precocity (Pourquoi les enfants précoces ne vont-ils pas tous bien ? ANPEIP, 2009). Nowadays, he keeps on developing this approach of hypnosis started by François Roustang, and that led him to Einotherapy and Einophony. His book was published in April 2017. A book was published on April 10, 2017.
this book links A.R. Damasio’s work together with F. Roustang’s. It provides people with explanations and tools about how to feel comfortable in any situation. The concepts developed are mainly based on neuroscience, with a bit of psycho-sociology.